Fresh lime juice and allspice team up to add irresistible tropical flavour to these easy-to-make baked chicken wings. Cover rimmed baking sheet with foil; spray with cooking spray. Place wings on prepared baking sheet. Bake 15 min. on each side. Meanwhile, combine remaining ingredients. 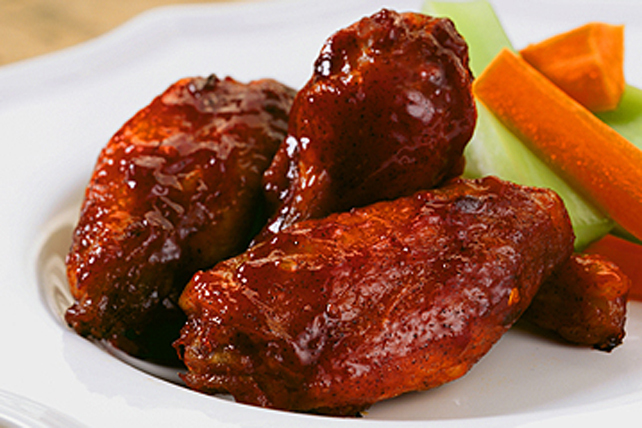 Brush wings with half the lime juice mixture. Bake 10 min. or until wings are done, turning after 5 min. and brushing with remaining lime juice mixture. Serve with crisp carrot and celery sticks. Prepare using Heinz Hot & Spicy Ketchup. Substitute lemon juice or orange juice for the lime juice.